When I finally turned 18 last year I got my first tattoo. 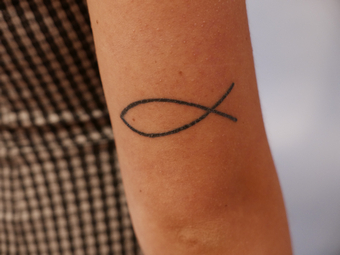 It represents the Christian fish, Jesus. It’s very important for me because it reminds me of my faith and who I belong to. This tattoo will be with me forever! This artwork gives me a sense of belonging to something bigger than me. Family is a group where you always find love!